Central Railway Trade Apprentice Recruitment 2015-16: Indian Railway has been announced the advertisement for the Central Railway Sports recruitment. Interested and eligible candidates can apply the Central Railway (CR) trade apprentice recruitment 2015. There is nearly 94 jobs in Central Railway trade apprentice vacancies 2015. Applicants must read the Central railway Pune division notification 2015 before start the application form. The candidates who are waiting for the latest railway jobs can apply the CR Pune vacancy 2015. 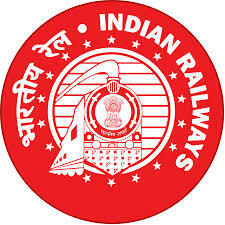 Aspirants should log on the official site at cr.indianrailways.gov.in. You can get the direct link for the Central railway application form 2015 on our Indrajobinfo.co.in site. The applicants should apply the Central railway trade apprentice application form on or before 8th Oct 2015. If you want to get the more job update through your social page and then you will like my facebook page. Once you like my page and you will get the job related notification on correct time. This is one of the best opportunity for the candidates who are searching the latest govt jobs in Pune then they can apply for Central railway trade apprentice recruitment 2015 application form. Read the below article for complete details of Central railway pune division advertisement 2015.You can also bookmark our Indrajobinfo site by clicking Ctrl+d for daily updates. Age Limit: The applicant should have an age limit minimum 15 years and maximum 24 year as on date of the application. The Central Railway Trade Apprentice recruitment 2015 has provide the age relaxation for the candidates as per the govt guidelines. Academic Qualification: Aspirants must pass the 10th/SSLC/Matriculation/ITI with at least 50% marks from a recognized board of the school/institute or its equivalent qualification. Selection Procedure: The selection of the candidates will be based on the performance in academic merits, written exam, medical test and personal interview process. Note: Applicants should reach before on 8th Oct 2015 till 17:00. Post the application along with relevant documents to the given address. Closing date for submission of application: 08.10.2015. Central Railway Trade Apprentice Recruitment 2015 Notification & Application Form Download Here. How to Apply Online for Maharashtra Government Jobs.